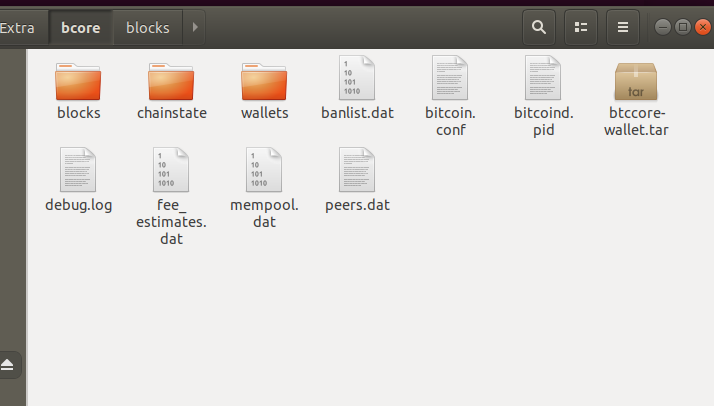 I downloaded the entire bitcoiin blockchain into my external mounted drive as seen below and named the directory bcore. I then ran .bitcoind, but I thought I downloaded the entire blockchain. How do I know if its just syncing with what I already downloaded or is it literally downloading everything again? Is there a way to just skip verifying blocks if that is what it is doing. I don't have the time to wait hours for this since I already waited 23 hours to download the blockchain already. Is there a file I can just download where it skips the block verification? Also another reason why I think its downloading it again is because when i run bitcoin-qt on the bottom it says: "Syncing with Network" Which leaves me a bit confused. You should not use a torrent to download the blockchain. There is no general purpose to using a torrent, as using it makes synchronization slower because validation (which is the slow part) cannot proceed concurrently with download. Because there is no purpose to using a torrent, I wouldn't trust that any particular torrent wasn't made maliciously and didn't contain things that might be used to exploit your computer. Not the answer you're looking for? Browse other questions tagged bitcoin-core blockchain bitcoin-qt-setup or ask your own question.